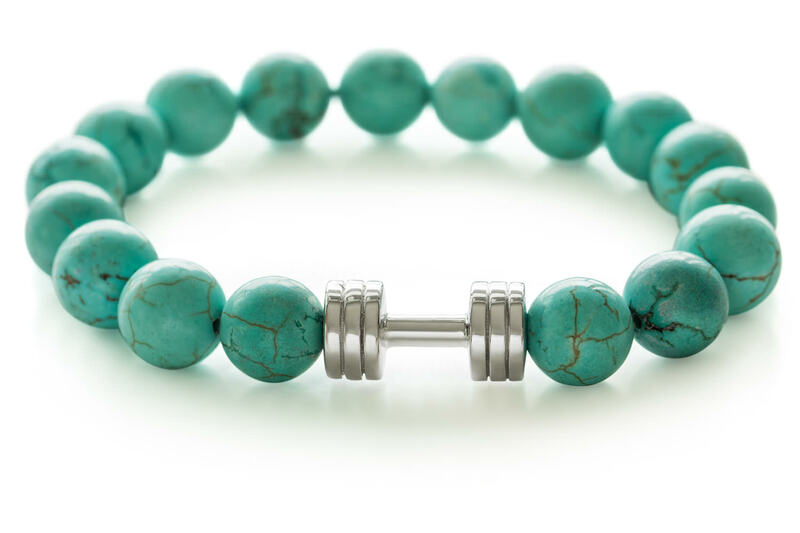 Turquoise dumbbell bracelet is made from turquoise gemstone beads and Rhodium plated dumbbell pendant. Besides its aesthetic beauty, the turquoise stone is the symbol of friendship. Turquoise takes on the characteristics of the owner and carries a great wisdom of basic truth within it. 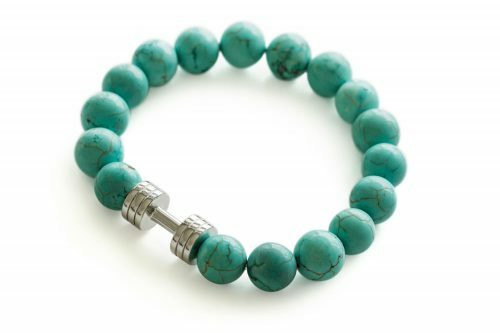 Turquoise dumbbell bracelet is made of natural high quality Turquoise stone beads and Rhodium plated dumbbell. 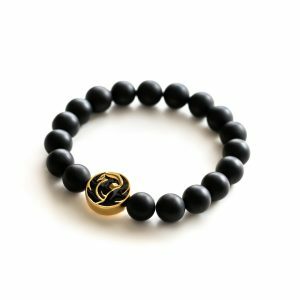 Each bracelet is handmade by our team, wherein we put two rows of strong elastic cord through the beads to ensure longevity and suitable for different wrist sizes. 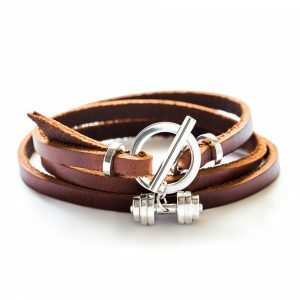 As for all our items, Turquoise Dumbbell bracelet is coming in an elegant Fit Selection jewelry box, being ready to become a gift right away!